Although it arrived back in 2015, the One M9 is still a capable flagship, especially since it receives Android Nougat via the official channels. AT&T users still using this HTC handset should get the new firmware in a few days, since the official update page is already up. 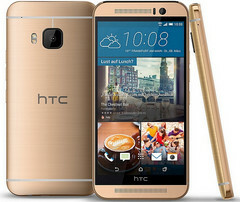 HTC One M9 is a two-year-old flagship that arrived back in March 2015 carrying Android 5.0 Lollipop on board. In the meantime, it received all major Android updates and now remains in business thanks to the Android 7.0 Nougat software and its above average specs, even by today's standards. AT&T has just updated the support page for the One M9 units on its network, reveals Android Authority. Unfortunately, it looks like the new firmware has not begun its rollout yet, but this should happen in the coming days. Sadly, the security patch level is dated February. Other than that, all the Nougat goodies should be included in the 1.4 GB update - quick app switching, multi-window mode, bundled notifications, new emojis, and much more. In some markets, the HTC One M9 can still be found in stock brand new. Its specs include a Qualcomm Snapdragon 810 processor, 3 GB RAM, 32 GB internal storage, a 5-inch full HD display, a 20 MP main camera, all powered by a 2,840 mAh battery.